Dolwen Stud (Registered Flock Number: 2453) is located in Pomonal, near Halls Gap, in the Grampians region of Victoria, Australia. Our hobby farm is home to a flock of traditional or 'Babydoll' Southdown Sheep. 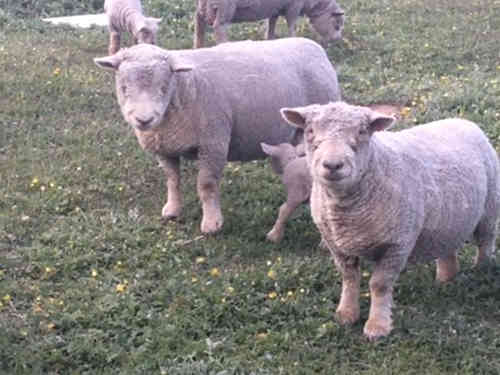 These stocky and hardy 'Olde English' Southdown sheep are from bloodlines that have grazed the South Downs of England since before the Norman Conquest and today they thrive in our Australian conditions where they are known for their ease of lambing. Our small flock of Babydoll Sheep was founded in 2015 with our first ram, Caesar and three ewes purchased from Hillgrove Stud then owned by Murray and Judy Peart. 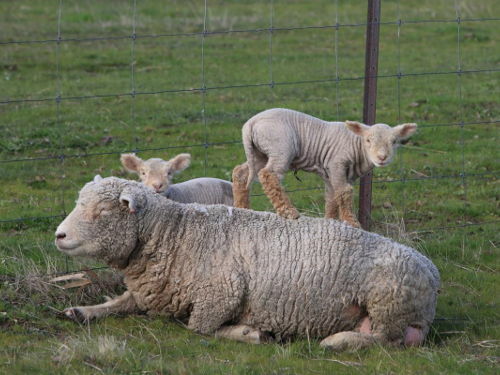 Dolwen Stud is registered with The Australian Stud Sheep Breeders Association and our Southdown Sheep have been sourced to preserve the characteristics of these heritage sheep. These short statured Babydoll Sheep have become sought after by organic wineries for grazing the grass and weeds beneath the vines because they are too short to reach most of the grapes. There is also a strong demand for these heritage Southdown sheep from hobby farmers. They seem to thrive even through the harsh Australian Summer and it used to be said that you could keep three Southdowns for every Merino Sheep. They are easy on fences and their wool is good for spinning and produces soft and durable fabrics. The ewes often produce twins and their lambs mature quickly whilst their marbled meat is famed for providing the best Sunday roast. The Babydoll Sheep have cute smiling faces but it is their calm temperament and distinctive individual characteristics which make them so adorable. You are welcome to call and have a chat with Nigel or to visit us at Dolwen Stud as we are keen to promote the breed and do all we can to preserve the genetics of the traditional Southdown in Victoria, Australia.